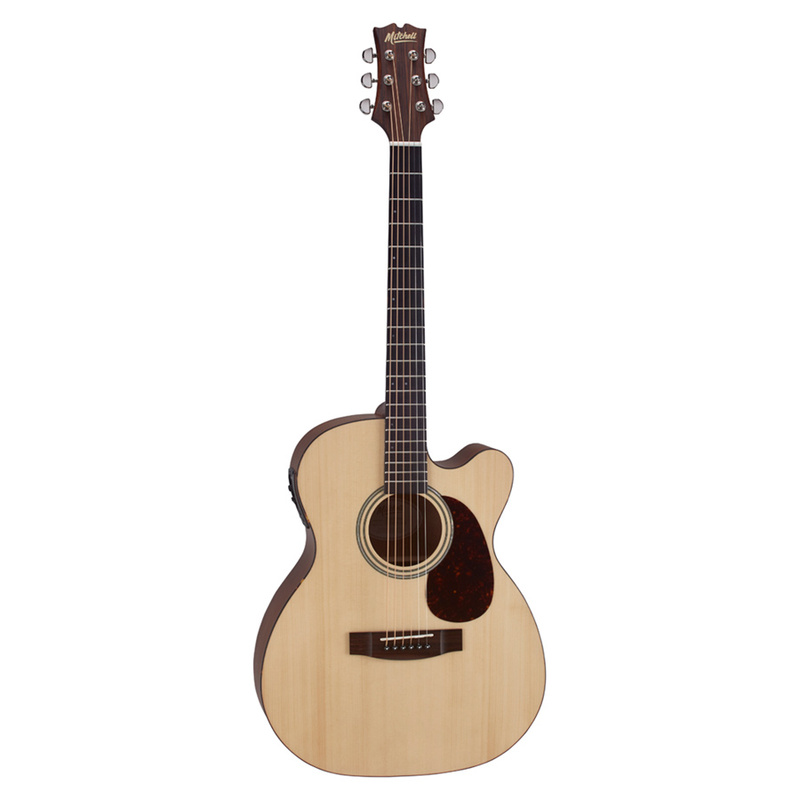 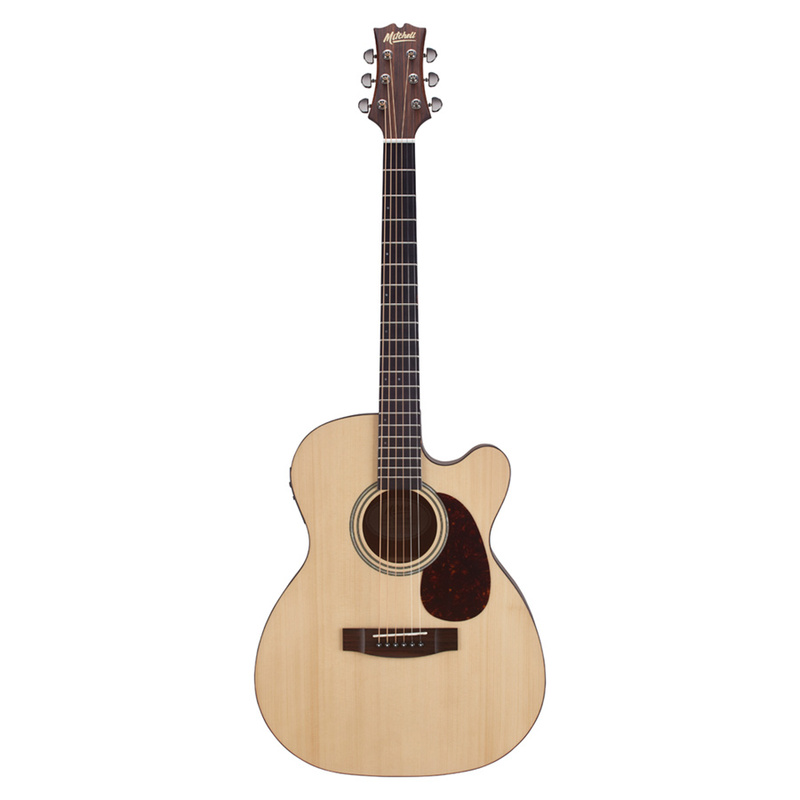 Part of the Terra Series, the Mitchell T313CE Auditorium Acoustic-Electric Cutaway Guitar combines the playing ease of an auditorium cutaway with select woods for an instrument that is both tonefully rich and easy to play. 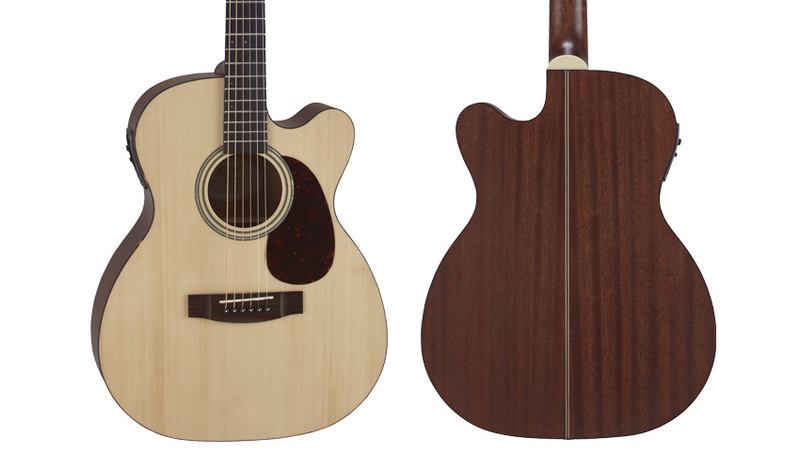 The T313CE features a solid spruce top for a clear high-end, as well as mahogany back and sides for a warm, full tone. 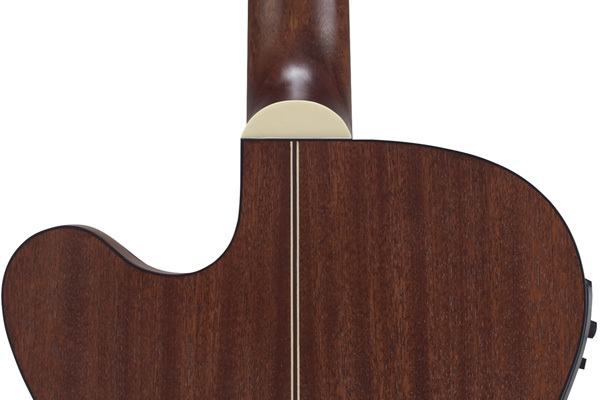 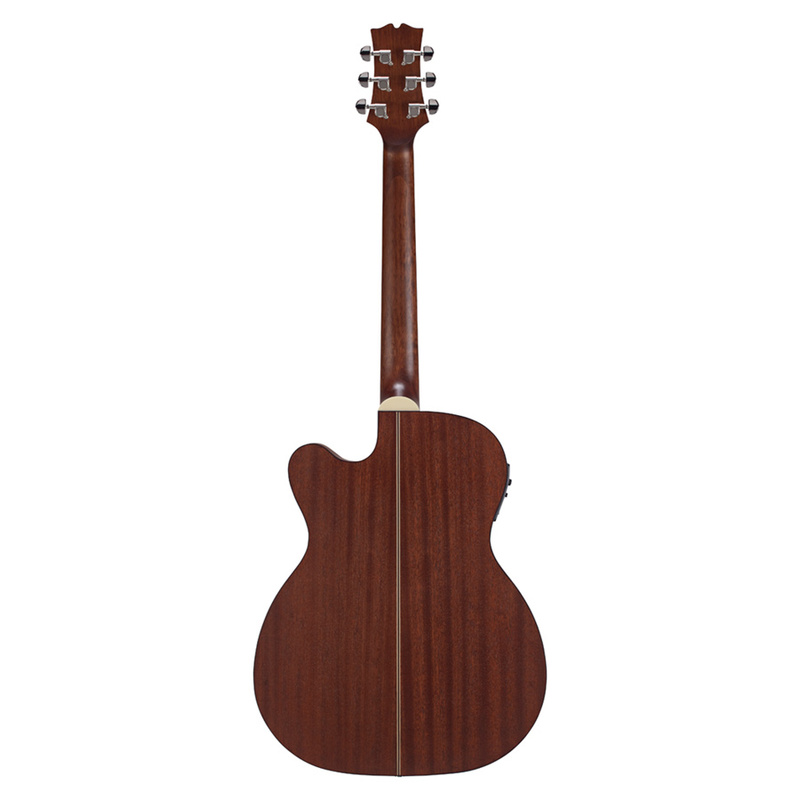 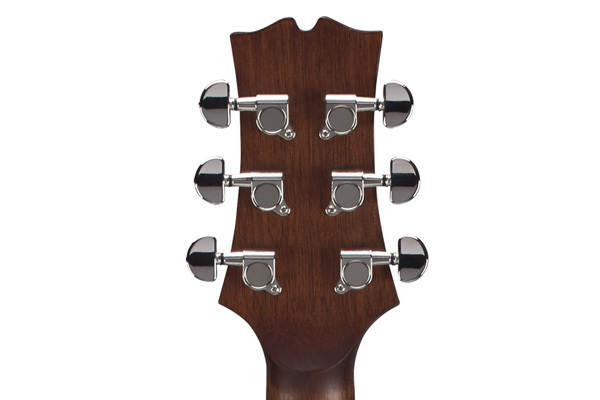 The attractive mahogany open pore finish enhances its overall resonance. 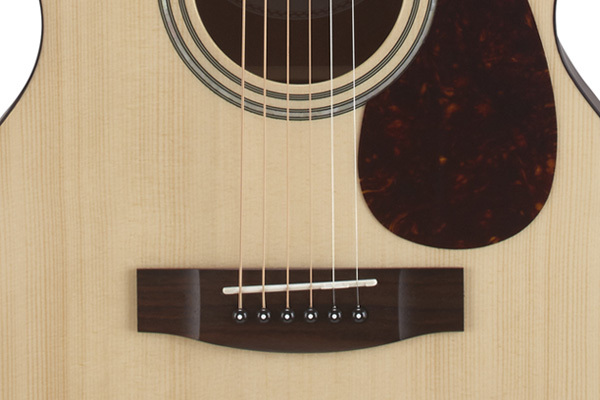 The advanced, forward-shifted scalloped X-bracing increases the T313CE’s tone and projection. 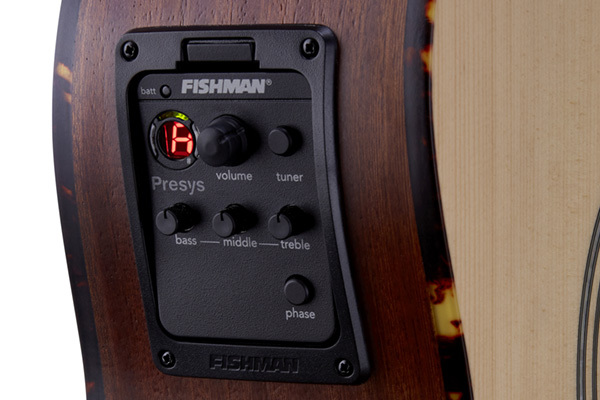 Built-in Fishman® Presys Preamp and Sonicore Pickup ensure that all that great sound reaches your amp, mixer or PA system fully intact.